On September 26, 2004, the F1 Powerboat Championship was held on this lake for the first time (third time hosted by Malaysia).In 2005, Putrajaya hosted the Asian Canoeing Championships.Between 17 and 19 May 2014, it hosted the second round of the Red Bull Air Race World Championship. Here's the our members favorite photos of "Lakes in Putrajaya". 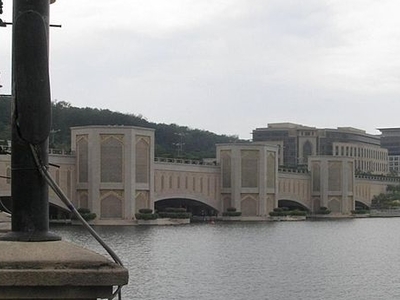 Upload your photo of Putrajaya Lake!